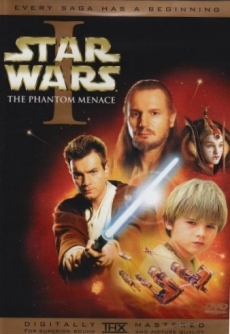 Just as for all the other Star Wars movies, Episode I: The Phantom Menace was also changed for its Blu-Ray release (the DVD version is already different from the theatrical version). This time there are no new scenes, but there are a few digital alterations - the biggest one is a digital Yoda who replaces the original puppet (which was actually a fan favoirte). In terms of technical quality, the Blu-Ray is very much surperior to the DVD and fixed some technical flaws (such as the reduced image section or the ugly pink color of the DVD version). Overall, the film benefits from being able to show more deteils. Still, the Blu-Ray version is far away from being perfect - the image is a little too "smooth" and it happens too often that details are swallowed up by digital alterations. The opening credits run in a different angle and now look more like the opening credits of Episode 2 and 3. There's a new animation when Obi-Wan and Qui-Gon go to "Jedi speed" to dodge the blaster beams. In the DVD version, their speed was shown with an "invisible/shadow/invisible/shadow"-effect. The only thing you were constantly able to see were their lightsabers. On the Blu-Ray they're constantly blurry which looks much better. The same alteration goes for the next scene with Jedi speed. Additionally you see the lightsabers on the Blu-Ray. Viceroy Nute Gunray and Rune Haako watch Qui-Gon and Obi-Wan escaping from the bridge. They increased the image section and added a new force field. Additionally, the new version of this scene is slightly shorter. Due to a faulty animation the left hand disappeared behind the vest for 6 frames. On the Blu-Ray they fixed this mistake. During the first meeting of the Jedi council you see the biggest alteration of the Blu-Ray: Yoda is no longer a puppet but digitally animated, just as in Episode 2 and 3. During the next scene of the Jedi council, Yoda is digitally animated as well. I think one example is enough. 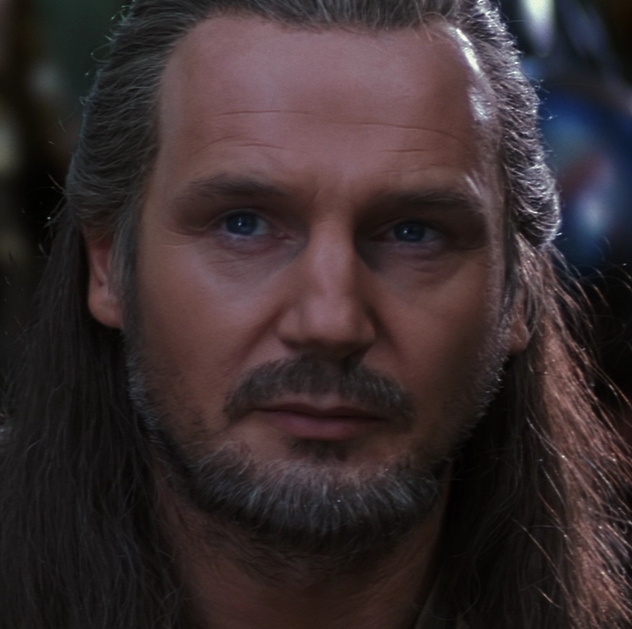 Padme's eyes glimmer a little less in the Blu-Ray version. Again the Jedi council, again a digital Yoda. Not for every single shot but for most of them, the Blu-Ray uses a distinctly bigger image section - there are more details on all sides than in the DVD version. During the following examples, the first image always shows the Blu-Ray version and the second one the DVD version. You can even see some new troups. Here are 2 examples. The complete color scheme of the movie is different on Blu-Ray. Thankfully, the annoying pink tone of the DVD version is gone. However, the Blu-Ray sometimes misses out on some details. The clouds in the background. You might not see it on every monitor, but besides the obvious alterations of the sun the Blu-Ray also misses out on some details of the capes - everything's black. Here are a few examples of the dominant pink color of the DVD version. Some more examples for the differences of color. Pay attention to the additional moon on the first picture which is a result of the bigger image section. One of the biggest flaws of the Blu-Ray is the frequent use of Digital Noise Reduction. Because of this effect the Blu-Ray version misses out on some details (e.g. laser beams during battles, and sometimes faces look like they're made of wax). 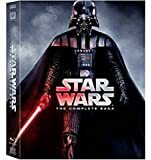 This doesn't constantly interfere with your movie experience and overall you can say that the Blu-Ray is far surperior to the DVD, despite the few flaws. Let's have one example - the Blu-Ray's image section is shown in it's original size.